We run an intensive 10 days of staff training in the weeks before camp begins. We focus on behavior and group management techniques, numerous safety protocols, bushcraft skills, lesson specific learning, activity facilitation, nature mentoring, terrain guidelines and building a strong, supportive, fun instructor team dynamic. Several of our staff are returning, and/or are experienced in other outdoor education venues. A few are even teachers in their off-season. All staff are certified in a minimum of Standard First Aid and have an up to date Criminal Record Check. Our management team has Operations Level and/or Wilderness First Aid and are always within a quick radio call of our instructors. What about Medications and Medical Concerns? Please provide as much detail as possible in the registration form regarding anything medical or physical we should know to keep your child safe and provide a great experience. This includes allergies (history, symptoms, procedure), medication taken and instructions, and your everyday strategies. Pack any medications in your child’s backpack and label them with your child's full name. Please inform us as to where they are located specifically, and what has been packed. This is particularly crucial if it is an Epi-Pen or Allerject. We are a Nut-Safe / Nut-Aware program. We recognize that we cannot be “nut-free” as we cannot control what is eaten / handled outside of camp hours. Given the large amount of children with moderate to severe nut allergies, please leave nuts and nut products at home. We check snacks and lunches just to be safe. How many children are in a group and what’s your instructor-to-camper ratio? There are 14 children in a group when fully booked, with 2 instructors, so 7:1 is our ratio. We also have stellar volunteers who are often along as well. We run two groups of both the Trailblazers and Forest Guardians each week, therefore your child will not necessarily be placed with a friend of the same age, unless we are notified in advance. What if my child is just a little bit too young? The age groups have the same age restrictions as grades in school. This is particularly important when it comes to TrailBlazers (5-7). Last summer we had a couple of 4 year old children registered under false birthyears. The kids tried so hard, but it did result in a very tough week for the child, and limited the possibilities of the entire group. They also told us they were 4, because that's what 4 year old's do. This situation is applicable to all age groups, and experience has taught us that sticking to the age deadlines is best for all. Can my child be in the same group with their friend(s)? Yes, we do our very best to accommodate requests, as we recognize this is important to many children’s camp experience. Upon registration please provide us with the names of the other campers your child would like to be placed with. With multiple groups for each age range, it will not necessarily happen automatically! Additionally, early notice is best to avoid confusion and switching groups on the first morning of camp, this can typically be hard on the young ones! We will not disclose information regarding campers other than your child (i.e. the names and dates of attendance) unless authorized to do so by their parent or guardian (e.g. if you are on the campers authorized pick-up list). What Does A Typical Day Look Like? What sorts of activities will my child be partaking in? Is every week the same? So if I book my kid's into two weeks, will they be doing the same things? We run three different weeks of programming on an alternating schedule throughout the summer. That being said, every day and every week at camp is different and we have had lots of participants come for more than 2 weeks and enjoy every minute, it's always changing! What kind of footwear should my child wear / bring? The best footwear are hiking shoes, hiking boots or running shoes, and preferably not brand new! Please no sandals, and only rubber boots if it’s a very wet week or as back up footwear, as they aren’t very comfy to hike or play games in when it’s sunny and warm. An extra pair of shoes, along with a whole change of clothes is highly recommended to be kept at camp for the week, for when the mud mysteriously jumps out of the puddles and gets your child muddy somehow…it’s inexplicable really. What kind of things should we pack for camp? A Whistle! Attached to their backpack or a zipper is great. Sturdy Close-Toed Shoes. "Broken in" hiking shoes, hiking boots or running shoes are best. Please no sandals or rubber boots (unless as back-up footwear). Full Change of Clothes Including Socks and Shoes. Please pack these in a separate bag to leave at camp throughout the week. Sun Protection. Brimmed hat, sunscreen, sunglasses and a shirt that will cover shoulders are best. Reusable Water Bottle. We are providing one to every camper this summer, but please do pack an extra (min 500ml). Rain Gear and Warm Layers. Waterproof jacket is a must, and pants if you have them. We head outside rain or shine, and some days are not the warmest in the morning! Plenty of Nut-Free Snacks and Healthy Lunch. We are a nut-safe/nut-aware program, so please participate in our efforts to keep everyone as safe as possible. PACK LOTS OF SNACKS. It's an active camp, so more fuel is needed than for a school day. Comfortable Backpack. To carry the above items. Medications. Should your child require them. Suggested Items. Insect repellent: natural repellents such as "Buzz Away" work well. Lightweight, long sleeved cotton t-shirt and pants: protects from the sun and mosquito bites. Inexpensive camera: that one you never use and don't mind if it comes home in pieces or not at all. Campers will have a cubby to store items for the duration of camp. Please! No electronic devices or external distractions such as iPods, portable games, trading cards, toys etc. We are encouraging technology free and commercial free nature immersion. Cell phones will stay at home base in the cubby. Can my child bring their iPod, cellphone or other electronics? We allow cameras for budding photographers, as long as they are used respectfully and sparingly. We ask that no other electronics come with your child so that we are able to practice distraction-free nature immersion. Cell phones are to stay at basecamp. A full refund, minus a $25 admin fee, will be given if at least 14 days notice of cancellation is given. Cancellation with less than 14 days notice will not be refunded except on medical grounds with a valid doctor’s note. We will do our best to place your child in an alternate week if possible, but this depends on vacancy. The program operates rain or shine and we recommend packing rain gear! In instances of unsafe weather, very high winds, severe air quality warnings, lightning etc. we will modify the day's programming to indoors for safety. On rainy days, we are always looking out for the best experience for the participants so we use the rain to teach shelters, or divert tiny creeks, or play in puddles, but will head indoors before hands get cold and the fun diminishes. When are the Drop Off/Pick Up Times? If driving up the mountain, please drop off for 9:00 am, and no earlier than 8:50 am. Pick up from camp is 4:00 pm. If riding the shuttle, please see the Shuttle Schedule. Can we pick Up early from camp or drop off late? This past summer we saw the volume of early pick up's and drop off's become quite challenging and impactful. Each week, instructors plan ahead where they will be going what the group will be doing. One of the best parts of this camp is full day trips into trails and forest, away from home base and the parking lot. While they often don't go far, it takes time for little legs to travel. Unlike school or daycare, early pick-up means that the entire group's plans need to change to accomodate (i.e. 1:00 pm pickup means the entire group needs to be close to homebase by then and cannot do a full day out). In the case of siblings of different ages, the experience of over 25 kids needs to change to accomodate. We understand that kids need to leave camp early or come late sometimes, but please try to minimize it, give us as much notice as possible (day of REALLY messes up plans) and if possible consider keeping your child out of camp that day. Bear awareness, bear safety and “what to do if we see a bear” procedure are taught to every camp group on the morning of day one and practiced throughout the week. If we have a bear in the area we are respectful, safe and cautious. We like to teach respect and reverence for these amazing animals ahead of fear, and do actively try to avoid bears. We seldom see them, as they prefer more peace and quiet than a group of children provide, but if we do, don’t be surprised if it’s the week’s highlight! Is there still space for my child in camp? If you cannot see the option for the camp you want in our online store, it is likely that the camp is either full or very nearly full. If you notice this please give us a call or send us and email and we will check the status for you. If it is full we do have waitlists. As we get closer to the camp start dates people do start to move around so it can be worthwhile to put your child on the waitlist. What about the 2019/2020 Season Pass? 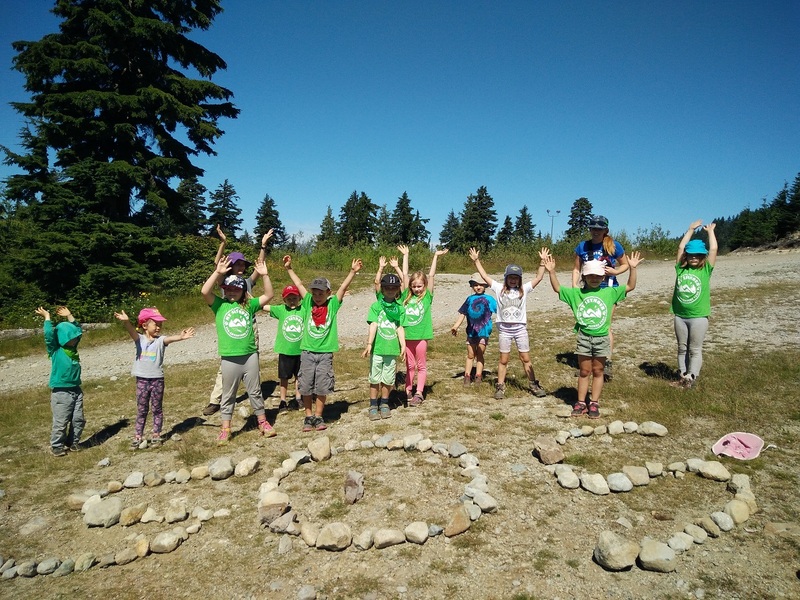 A 2019-2020 Child Season Pass is provided at no additional cost for each Trailblazer, Forest Guardian, Mountain Ranger and Sea to Sky registrant. Youth Adventure Skills registrants will receive the value of a child pass ($99) towards a youth pass. Please call 604.986.2261 (Mon-Fri 9am-5pm) to register your child for their camp over the phone, then we can discount the camp for the value of the Child Season Pass already purchased. If you have already purchased your camp, then please email claims@mtseymour.ca with your details and we will get back to you with the appropriate rebate option! A Season Pass is automatically added to your child’s account upon Eco-Adventure Camp registration. Passes can be picked up after September 15. We WILL NOT be processing or printing passes of Eco-Adventure Camp participants until September 15. We will not be issuing a credit or discount of the amount of a season pass if it is not collected or used. If your child receives another promotional season pass you will not receive a credit, exchange or refund. 80 volunteer hours gets you a season pass for the 2019-2020 ski season!